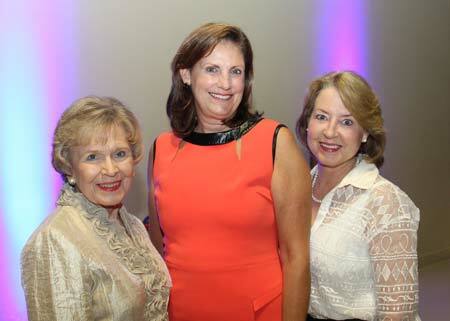 The 2014 Mid-Winter Ball features Honorary Chair, Martha Dunlap (left) and Co-Chairs Jenni Shingler (middle) and Jane Dean (right). This signature community event, benefiting Self Regional Healthcare, will celebrate its 26th year on March 1, 2014. In preparation for this premier black tie event, it was also announced that Martha Dunlap will serve as the Honorary Chair. “A pillar of the Greenwood community, Mrs. Dunlap’s influence and participation in many of the past Mid-Winter Balls made her a natural choice. It is our honor having her serve in this role,” commented Chip Stockman, chairman of the Self Regional Healthcare Foundation Board of Trustees. Since its inception, the Mid-Winter Ball has raised more than $2.6 million for Self Regional Healthcare. Tickets for the ball will be available beginning in December. For additional information, visit www.selfregionalfoundation.org or call the Foundation office at (864) 725-4256. One Response to "Self Regional Healthcare Foundation Announces Mid-Winter Ball Chairs"